YEREVAN, Armenia – On June 19, 2014, alumna of the American University of Armenia (AUA) Dr. Ruzanna Grigoryan (MPH ’07) won the Civic Activism Award, along with Karen Harutyunyan, Vahe Gevorgyan and Lilit Petrosyan, in recognition of their outstanding efforts in pursuing transparency and accountability in public decision making as organizers of the “We Pay 100 Dram” movement. 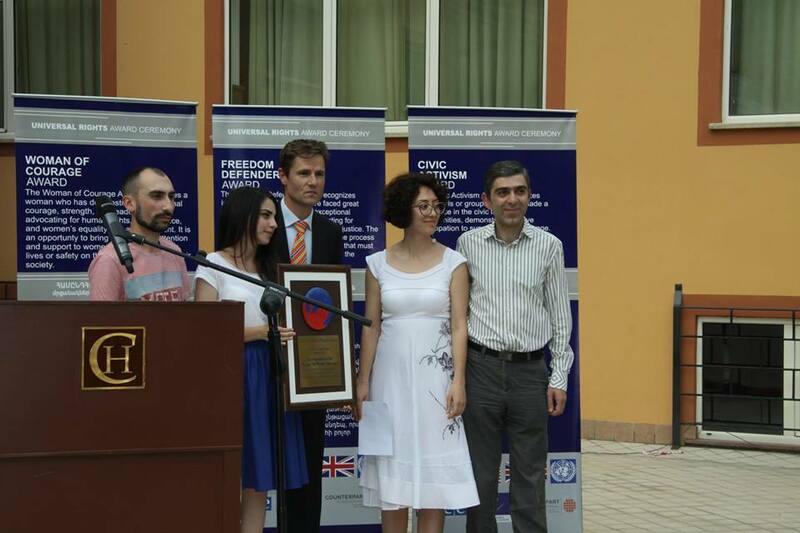 The award was presented during a ceremony devoted to universal rights in Armenia, organized by the U.S. Embassy, the Delegation of the European Union to Armenia, the British Embassy, the OSCE (Organization for Security and Co-operation in Europe) Office in Yerevan, the Council of Europe Office in Yerevan, the United Nations Armenia Office, and Counterpart International. 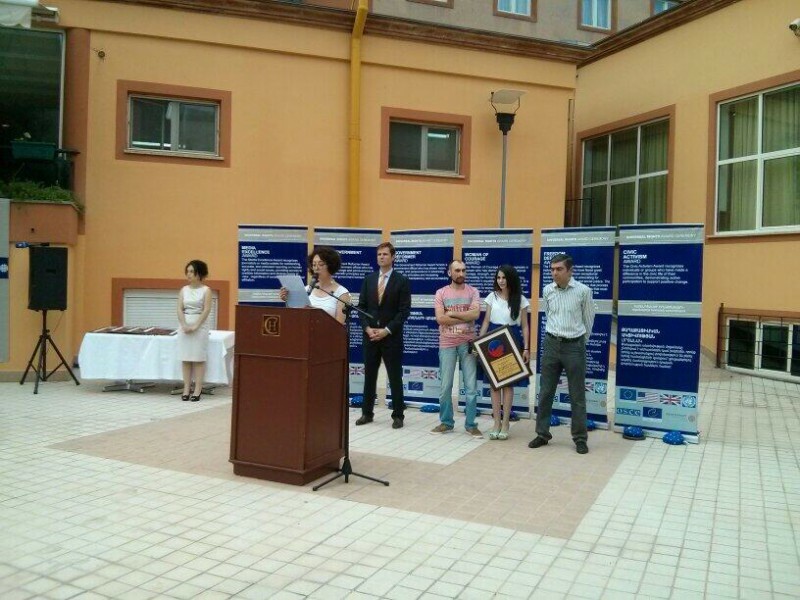 This is the second time that Dr. Grigoryan has received the Civic Activism Award for being an active citizen. On June 4, 2012, during the visit of the US Secretary of State Hillary Rodham Clinton, she received it as a member of the environmental civil initiative that preserved Mashtots Park in the center of Yerevan (more information here). Dr. Grigoryan is a 2007 alumna of the AUA Master of Public Health Program. Since 2008 she has been working as a Research Associate/Project Coordinator at the AUA School of Public Health. The Civic Activism Award is given in recognition of outstanding efforts in pursuing transparency and accountability in public decision making.